Philippine President Rodrigo Duterte’s plan to keep his country’s growth engine humming by spending more than P8 trillion on infrastructure has been fueling demand for imports of construction-related goods. 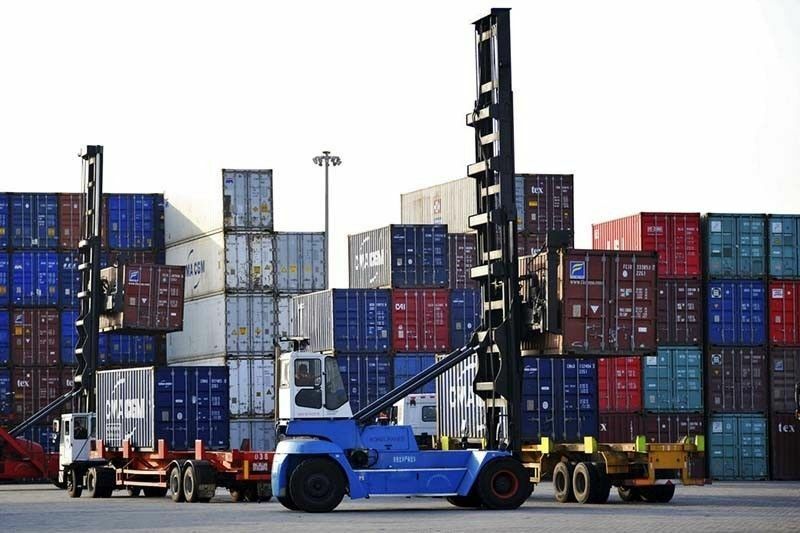 MANILA, Philippines — The Philippines’ trade deficit continued to swell in April on the back of weaker exports and double digit growth in imports, the government’s statistics agency reported Friday. The country’s trade gap sharply widened to $3.62 billion in April, higher than the $1.55 billion deficit in the same month last year. Total external trade in goods surged 8.8 percent to $13.84 billion. The increasing capital goods imports due to the infrastructure boom brought the country’s current account surplus to a deficit, pressuring the Philippine peso. Year-on-year, exports fell 8.5 percent to $5.11 billion in April, marking its fourth straight month of contraction following declines in export shipments to major trading partners Japan and China. Outbound shipments of electronic products, the country’s top export in April, jumped 5.5 percent from the $2.82 billion export receipts in the same month last year. “Weather disturbances likely contributed to the decline in outbound shipments by disrupting agricultural production,” said Guian Angelo Dumalagan, market economist at the Land Bank of the Philippines. Meanwhile, total import bills spiked 22.2 percent year-on-year to $8.73 billion in April, spurred by heightened purchases of electronic products, transport equipment, mineral fuels, industrial machinery, iron and steel. China was the Philippines’ biggest source of imports for the month, followed by Korea, Japan, the US and Thailand, respectively. “The strong import demand is a manifestation of buoyant domestic investment, household spending and government’s infrastructure program,” Taningco said. For Taningco, the ballooning trade gap will have a “negative contribution” to economic growth. “I expect the trade deficit to persist in upcoming months, and therefore, will also exert depreciation pressure on the peso,” he said. But for LandBank’s Dumalagan, the persistent trade gap is “not totally bad” for the economy. “Moving forward, the country's balance of trade is likely to remain in deficit amid expectations of higher imports of capital goods. This has the effect of keeping the peso weak,” he said. “While a higher trade deficit subtracts some points from gorss domestic product growth... an investment-led increase in imports could set the stage for stronger economic growth in the future,” he added. In the first quarter of 2018, the Philippine economy grew 6.8 percent, faster than the 6.5 percent in the preceding three months and the 6.4 percent expansion rate in the comparable period last year.